Rather than worry about what you should eliminate from your diet this spring, focus on the seasonal produce you should be eating more. These vibrant green spears are a good source of vitamins A, C, E, K, fiber, folate, and the chronic-disease fighting antioxidant glutathione. 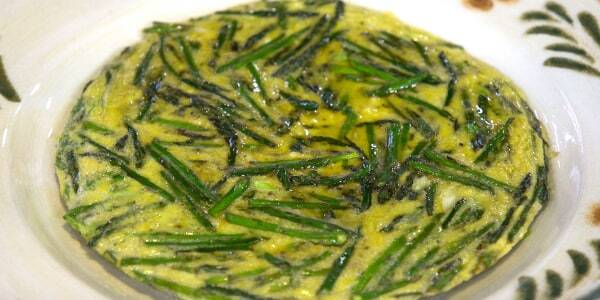 Asparagus is delicious grilled, pureed into a soup, simply roasted, or thrown into Lidia Bastianich's frittata. The onion’s sweeter, milder cousin, leeks are an excellent source of vitamins A and K and a good source of vitamin C and folate. 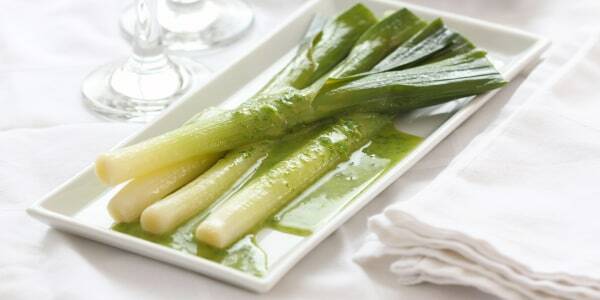 Leeks also contain the anti-inflammatory antioxidant quercetin, which is important for heart health. Saute or braise leeks to add flavor to main dishes, puree into soup, or simply simmer them and toss them in vinaigrette like Marc Murphy. Juicy and sweet, this red berry makes its debut in spring and is harvested through the beginning of summer. An excellent source of vitamin C, this fruit also contains fiber, potassium, folate, and the antioxidant anthocyanin. Totally versatile, throw strawberries on top of oatmeal, yogurt, into a smoothie, or pair with a dollop of whipped cream for a sweet, healthy dessert. 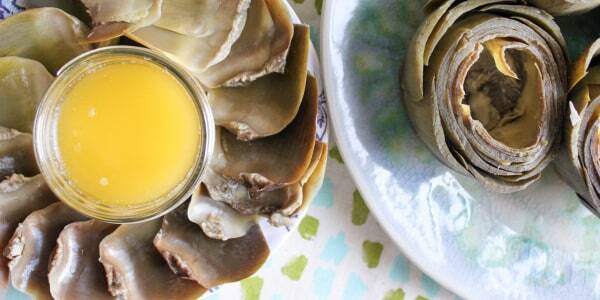 Craving savory? 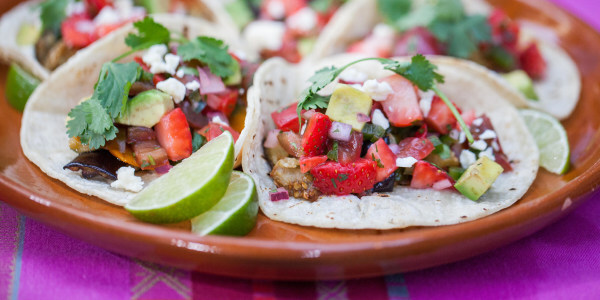 Try Siri Daly's roasted vegetable tacos with strawberry salsa! An inconspicuous vegetable, rhubarb is often thought of and used as a fruit in desserts and jams. A good source of vitamin C and calcium, rhubarb also contains fiber, vitamin A, and magnesium. 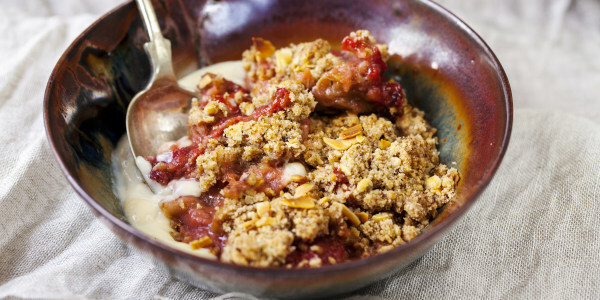 Naturally tart, rhubarb is often paired with sweet strawberries, but in Carina Contini's rhubarb crumble, the pink vegetable takes center stage. An ancient pea variety, fava beans have a distinct nutty flavor and buttery texture.These legumes are an excellent source of fiber, folate, and manganese and a good source of thiamine, copper, iron, magnesium, potassium, and phosphorous. Fresh fava beans take a little more time and TLC to shuck and peel but you can also find shelled fava beans in the freezer section of some grocery stores. 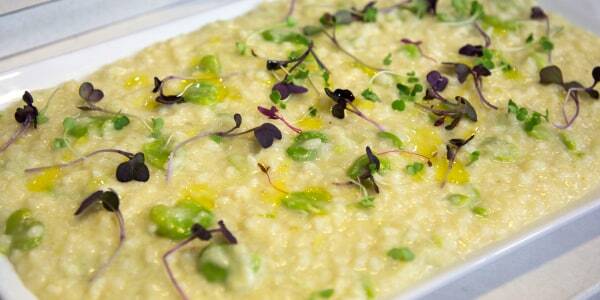 Toss fava beans in a salad, pair with your main, puree them, or add to risotto like Anthony Scotto does. A peppery, bitter green, watercress is related to mustard greens and is an excellent source of vitamins A and C and a good source of calcium. 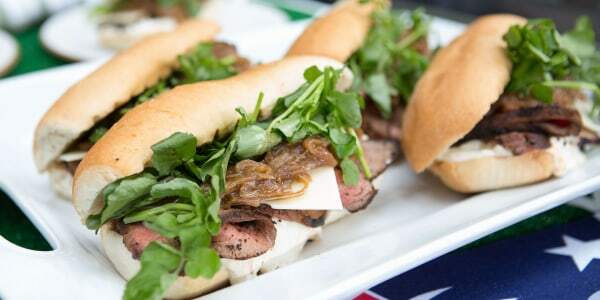 These greens add unique flavor to soups, salads, and sandwiches like this tri-tip steak sandwich by Ryan Fey. 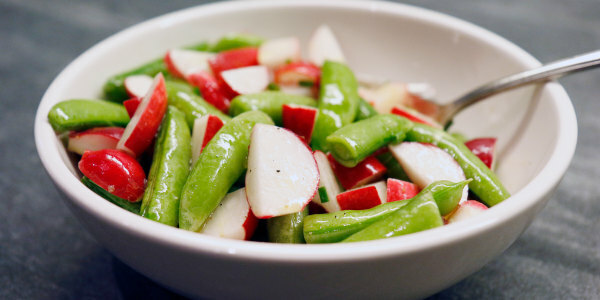 A spring cruciferous root vegetable, radishes come in many different varieties, shapes, sizes, and colors, but all are packed with vitamin C. With a crisp texture and bitter flavor, radishes are wonderful paired with salad like Katie Lee's sugar snap pea and radish salad. Don’t let its funky appearance fool you — this vegetable is packed with nutrients such as fiber, vitamin C, folate, and magnesium. Enjoy them in a variety of ways: Use artichoke hearts with pasta, pizza, and in sauces or try them whole — stuffed, grilled, steamed, or even slow-cooked with a dipping sauce like Andrea Lynn's. This bulb has a sweet licorice-like flavor and is a good source of vitamin C, potassium, and fiber. Slice this veggie raw to use in salads or roast or caramelize to release more flavor. And don’t forget to use the edible fennel fronds (greens) as a garnish for your salad. 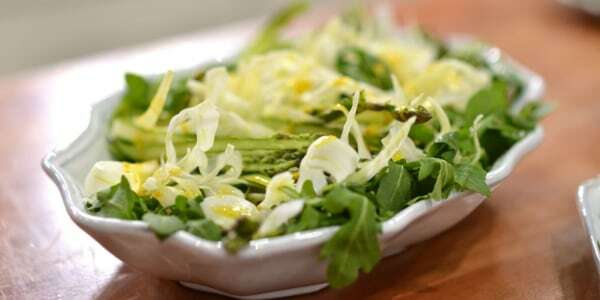 Start with Clodagh McKenna's zesty asparagus, fennel and arugula salad. Kara Lydon, RD, LDN, RYT, is a nutritionist and blogger at The Foodie Dietitian. This article was originally published on March 16, 2015.